"A balanced cost management system"
Botmetric is a smart cloud management application that is designed to make cloud handy for engineers so that they can concentrate on business critical initiatives which are needed for organization. This app provides a clear vision about cloud management and you have the full authority to control your cloud using this wonderful app. It tactfully handles AWS cost savings, cloud governance, DevOps tasks, alerts noise and cloud security compliance. They make sure to save extra cost of the business and monitor everything precisely by intelligent analytic. The best part of this handy app is it spares cost and time of business and its AWS infrastructure ensures your business security. I would highly suggest people to utilize this cloud management device for maintaining cost of your business more skillfully. DevOps jobs can be done quicker with Botmetric’s operational intelligence. This apps Analyze alerts, diagnose problems and can quickly settle production issues. It speeds -up your incident management and helps to shape your organization in a better way. This reliable and secure app keeps your cloud data safe by multi-factor authentication system. Its powerful & smart automation system provides you service anytime whenever you need. So undoubtedly it’s a handy app to run your business more efficiently. "A remarkable apparatus to fathom association resistance. " I am hypnotized with botmetric.com the approach this device spared my time and gave me a total portrayal of my AWS condition. The more surprising thing is the bolster that the group at Botmetric gives. In the wake of seeing in the market for few contraptions, Botmetric was the best ideal which assists me as Application Advancement with decreasing the put time in cost checking. It additionally applies a quick in light of their prescribed procedures endorse and furthermore has natural charging reports. The security proposals are useful and it helps examinations spend on various AWS administrations and spare cost also. I don't discover any downsides utilizing Botmetric acknowledge the value scope of it. The cost ought to be lower with the goal that more individuals can utilize this and get gigantically profited. I would suggest utilizing Botmetric which gives exhaustive AWS cloud reviews, capacity for DevOps undertaking mechanization and nutty gritty cost administration. To me Botmetric is an unquestionable requirement thing for anybody attempting to comprehend AWS charging and the earth all in all. The advantage of Botmetric is such a large number of .One can run a complete review of AWS Cloud to identify security issues, debacle recuperation bottlenecks, execution issues, adherence to cloud best practices and cost enhancement openings. General I am extremely energized and cheerful utilizing this item. * We monitor all Nutanix Beam reviews to prevent fraudulent reviews and keep review quality high. We do not post reviews by company employees or direct competitors. Validated reviews require the user to submit a screenshot of the product containing their user ID, in order to verify a user is an actual user of the product. Hi there! 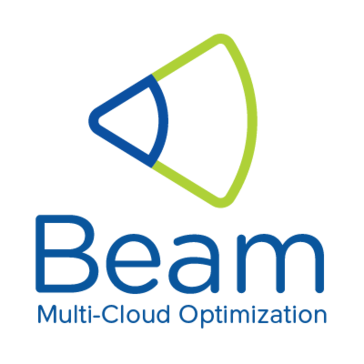 Are you looking to implement a solution like Nutanix Beam?